How does the fish know their competition if they have always lived in a tiny pond? No doubt, Zimbabwean students harbor a lot of talent, and we see that here at Education Matters. We work with students who have long strings or A’s at O and A Level, those who are trying to break records with how many exams they are writing. We meet national chess champions, debate champions, public speaking champions. We assist student athletes who have represented Zimbabwe on the international stage, who have travelled as part of national select teams on tour of South Africa and beyond, who are locally the best at whatever sport they do. And we rightfully celebrate such talent – with badges and specially colored blazers, with awards ceremonies and assemblies, with traditions that separate elite groups of students from the rest. The array of school uniforms and track suits, with their stripes or hoods or different colors, their myriad of patches and pins, all indicate accomplishment and separation to be a cut above the rest. When it comes to academics, we celebrate the number of A’s and A*s one has achieved at O level, the number of points they have gathered at A level rather than what skills they have mastered, what they can do with all that knowledge. When it comes to sports, we applaud who comes first or who is selected nationally rather than their personal best times or match statistics. There may be only a dozen people contesting for that spot to be a national representative, or maybe only a dozen who have had proper training and exposure to the sport. The pond we call Zimbabwe does hold a lot of talented fish, but admittedly they have not yet seen the ocean. My reflection does not intend to undercut this tremendous talent, but to ask a crucial question as we prepare students to venture out of Zimbabwe to study internationally – How do you best prepare a student to move from being a whale in a pond to being a minnow in an ocean? 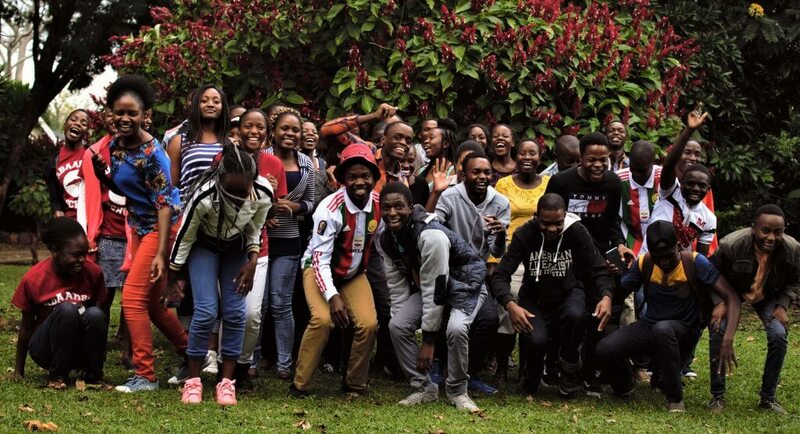 These Zimbabwean students do arrive on college campuses prepared in many ways for top competitive university education. However, often they are not prepared to do one crucial act – to lose or fail. And failure becomes relative here, being redefined as not always being number one. How do you prepare a student who has never seen anything other than an A on her paper to receive a C on her first Calculus exam or History essay? How do you prepare a national sprinter who would win every race without even exerting all of his effort to come last in his heat at a conference meet? How do you prepare the captain of a national team to not get any play time in any of her first month of matches? How do you prepare a provincial chess champion for not getting a place on his college’s board? Doubt and insecurity seep in and often the first reaction is defensiveness. We have taught our top students that they are the best and so they expect to continue to be. Thus, they can’t be wrong and need to find a scapegoat – their professors, the system, the ignorance of others, their coach. Yet, the best way for the fish to adjust to the bigger pond is to observe, learn and adapt to the new currents, listen to the wisdom of other fish, try the new types of fish food, but still never forget the original pond from where he came. Zimbabwean students we meet have achieved so much and harbor so much talent, and indeed we started Education Matters to help their talent meet opportunity. We are still struggling with how best to prepare them to embrace that opportunity as the challenge that it is, one that can only build them to be even better, smarter, stronger and emerge a confident fish swimming freely in a larger pond. I remember I got my first job two months before graduating in Zimbabwe, I really never struggled to get jobs after that. When I moved to the US even getting an internship was so hard and difficult. I asked for help, asked people to look at my resume even though I had been a Graduate Teaching Assistant for English. I remember my career services Nancy asking me to go back and rewrite my resume five times (yes five), I changed my perspective and learnt the system and ended up with 4 internships to choose from including one at the UN. The process involved acceptance, humility and learning. Thank you for sharing this valuable experience, Takah. Perhaps we need to think of a better way for the new fishes to learn from those who have already gone through the experience of pond adjustment. What a wonderful metaphor for the leap of faith that your students are taking by studyin abroad. My hope would be that they learn to reach out on their campus and seek all the available support which is necessary for them to succeed. Student affairs professionals are trained and hired for just this purpose and also unknown on any campus in Zimbabwe. Thus, your students need to learn the “campus roadmap” in order to complete their journey abroad. Thank you for your informed insights. We agree that one of the best skills with which we can equip students before they study abroad is the ability to reach out and ask for help. As a Zimbabwean student who has studied for three years at U C Berkeley I attest to this Amai, we have to learn how to swim in the ocean. For me that has been resilience- the ability to spring up from failure, and collaborate with other students and reach out to my professors and the international office and college advisors. I loved your article !